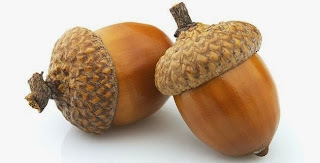 Inscribe acorn(s) with runes, or other symbols of courage and strength. Put acorn(s) into the amulet bag along with the other ingredients. Charge the amulet bag with strength and courage. Have the person wear the bag around his neck, close to his skin. Works best on males.